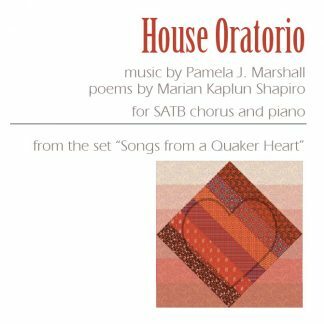 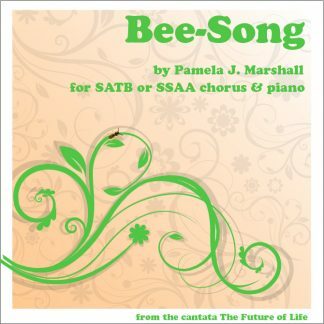 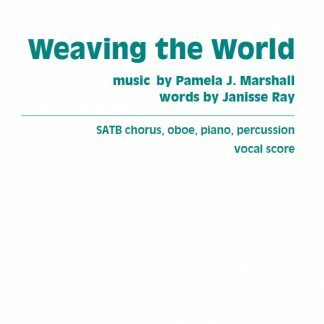 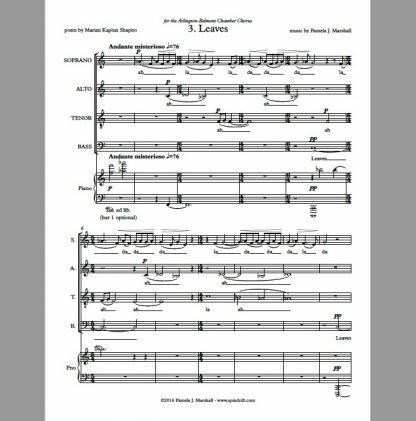 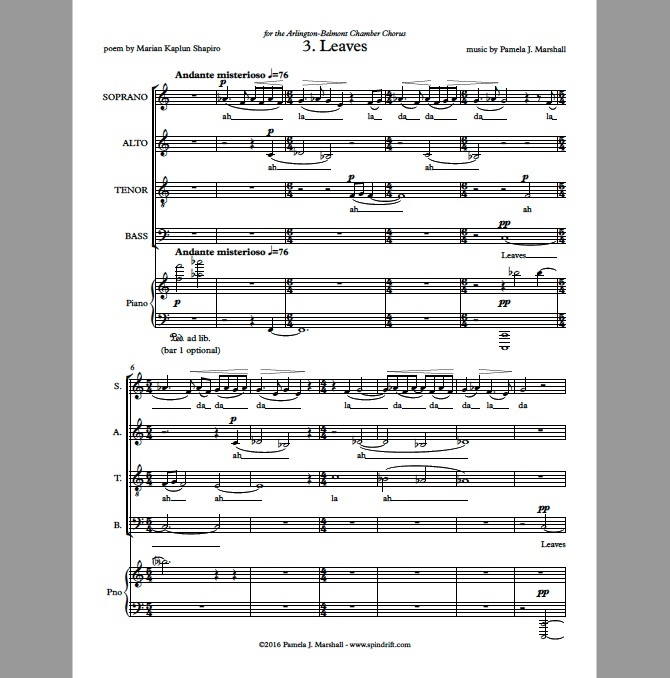 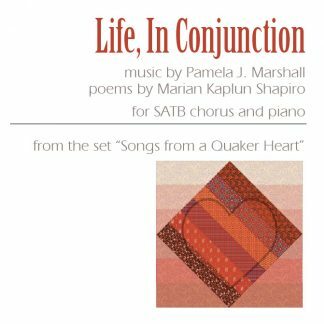 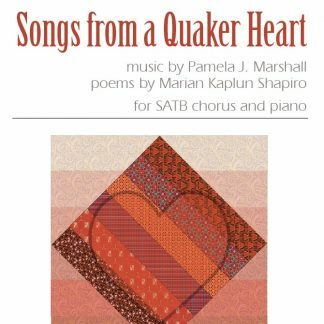 “Leaves” is the third song in Songs from a Quaker Heart, commissioned and premiered by the Arlington-Belmont Chamber Chorus in 2016. The poem “Leaves” feels both nostalgic about the passing of the seasons and angry about the disruptions of bad weather. 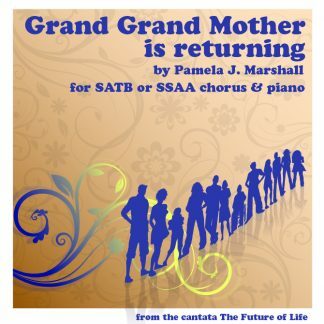 As the text proceeds from nostalgia into frustration, the singers deliver the words as an angry spoken chant, instead of a nostalgic song. 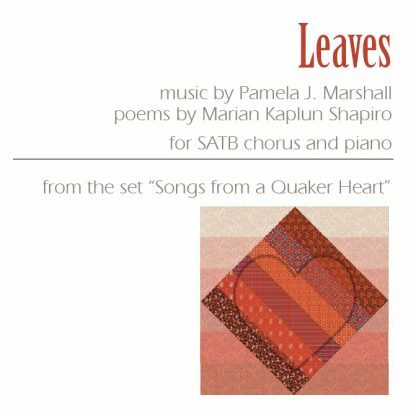 The poem “Leaves” is published in Marian Shapiro’s collection Players in the Dream, Dreamers in the Play (Plain View Press, 2006).